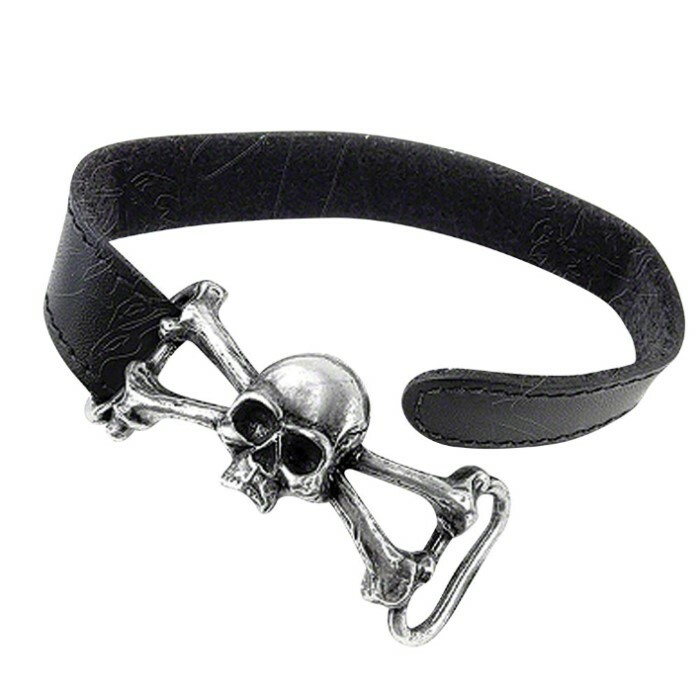 We are fascinated by skulls and wearing them never goes out of style. 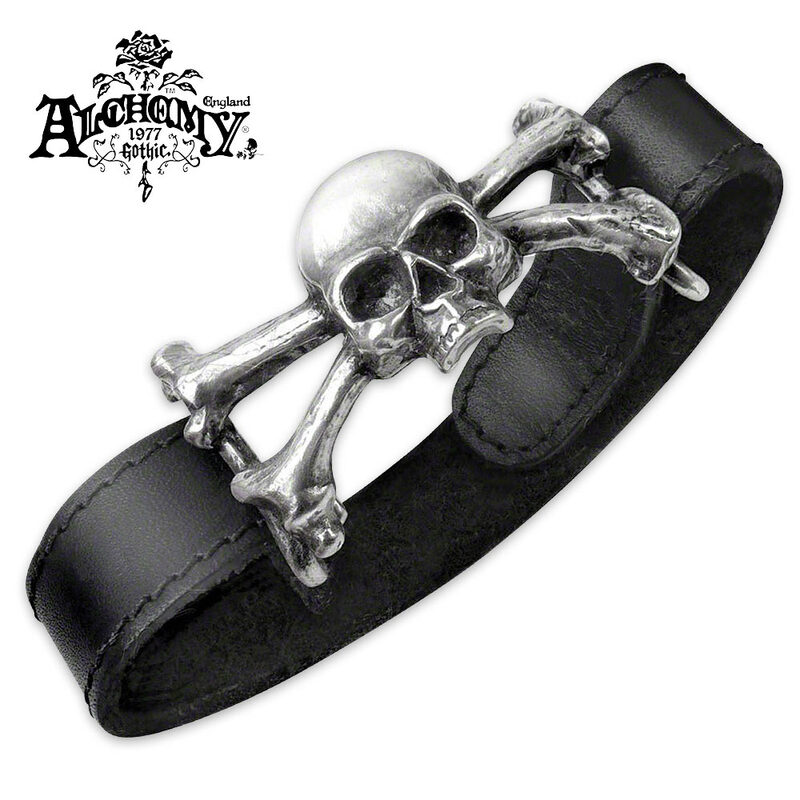 The Skull N’ Bones Bracelet is a striking piece to add to your Gothic jewelry collection. 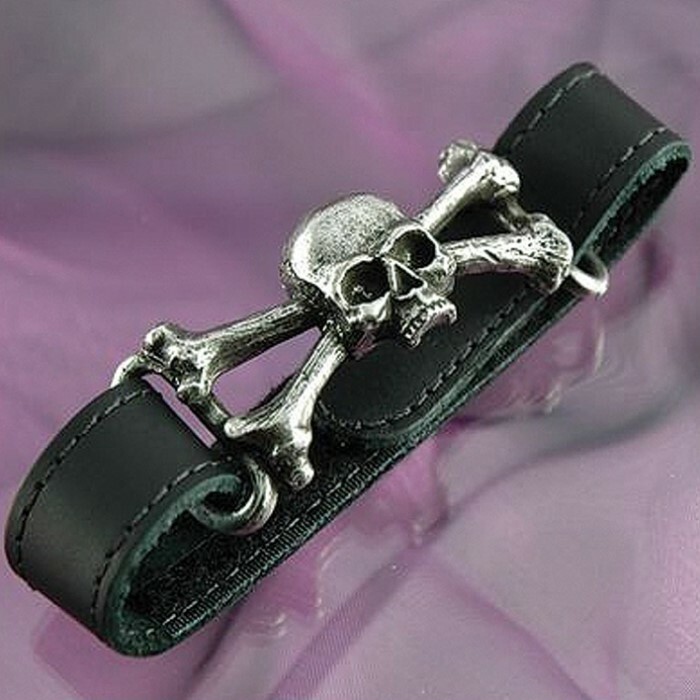 It is crafted of genuine black leather and fine English pewter. The bracelet has a Velcro fastening and the strap is adjustable. It is 10 3/10”x 9/10”.